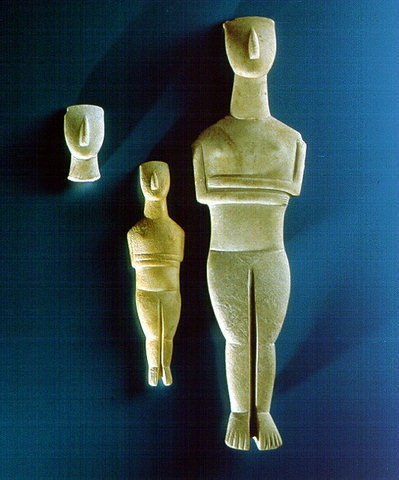 Three figurines from the Cycladic Collection, attributed to the Goulandris Master. Early Cycladic II period (2800-2300 B.C. ).